God has commanded Muslims to say: "...We make no distinction between any of His messengers..." (2:285), but the Muhammadans say: "...We hear and disobey..." (2:93). The debate has been centered only on the introduction of this article, about piety as the point that distinguishes between Islam and the Muhammadans and our paragraph concerning the true testimony of Islam that we quote here: (...The testimony of Islam is one phrase, not two; (There is no God but Allah). Within this testimony, a believer is sharing the belief of all prophets from Adam till Muhammad, without differentiating among them or preferring one above the rest of them. The dual testimony invented by the early Muhammadans in the first century A.H. has added a phrase: "Muhammad is His Prophet". This preferring or differentiation is blasphemous; it contradicts the following Quranic verses: 2:136, 2:285, 3:84, 4:150-152, and 46:9. Yet, the basic tenet of the Sunnite Muhammadans is that they are Muhammad's nation, or Umma, and they claim that Muhammad is the "Master" of all previous prophets and the alpha human being. This is blasphemous as such claim deifies Muhammad. This deification and worship of a mortal prophet is asserted until now by visiting, during pilgrimage, the mausoleum attributed falsely to Muhammad in the city of Yathreb, as well as by mentioning and glorifying his name as an act of worship, offering and dedicating prayers to him after the five daily prayers, mentioning his name during the testimony within prayers, mentioning his name in the call to prayers, reading Chapter one of the Quran while dedicating it to him, and finally the Sunnite staunch unshakeable notion of Muhammad's intercession on behalf of those condemned to Hell in the Afterlife, as if Muhammad were the owner of Doomsday. All such notions and practices are deemed sheer unbelief in Islam ...). Some new Quranists in their comments have protested against this paragraph while accusing us of declaring most Muslims as infidels and disbelievers. Those who disagree with the paragraph we've quoted above claim that the vast majority cannot be in the wrong; this is a falsehood refuted by God's Word: God asserts in the Quran that the majority is always against the Truth and if Muhammad himself had obeyed it, it would have misled him and turned him away from God's path; see 6:112-116. 2- We have asserted in our article "Piety Is the Essence of Islam" that the dual testimony and the deification of Muhammad are disbelief in terms of faith, not in terms of behavior (i.e., violence and aggression). We have asserted before that Islam as a faith means to submit to Allah as the only God without partners or deities beside Him, and in terms of behavior, Islam means peaceful demeanor with all people. Thus, every peaceful person is a Muslim regardless of her/his beliefs/faiths or even lack of them; this applies to the vast majority of people who are not terrorists; e.g., Muhammadans, Christians, atheists, Buddhists, and even Israeli civilians. In contrast, terrorists are disbelievers in terms of behavior regardless of their mottoes or religious affiliations, and we do not judge people's religious beliefs since this is God's mission on the Last Day; we only repeat what is written in the Quran: those who die as polytheists will dwell in Hell for eternity, regardless of the mottoes raised by them during their lifetimes. "...Whoever associates others with God, God has forbidden him Paradise, and his dwelling is the Fire. The unjust ones have no supporters." (5:72). Hence, hoping to reform faith tenets of the Muhammadans using the Quran, as we fear for them lest they reside in Hell forever and see their good deeds nullified because of polytheism, we use the Quran as the only criterion to judge these tenets. We knew beforehand that this will provoke the ire of some of our readers and will bring more persecution to us and to our family members by the Mubarak regime criminals who harass them without their being involved in anything. Yet, to stifle the Truth means to be cursed by God, angels, and all people as per 2:159. We must be outspoken and vociferous in declaring the Quranic Truth, but we never impose it on anyone; every person has the freedom of choice, and God will settle our disputes and differences on the Last Day. 3- Polytheism/disbelief in terms of faith begins in human beings by setting a prophet above the rest of the other prophets, a step leading to deify him (as is the case with Jesus and Muhammad); the very next step is to deify the historical figures around this prophet (e.g., the disciples and the companions), and the circle of sanctifying and deifying mortals expands to include the so-called 'saints' and 'good' people, and even to sanctify madmen, as Sufis do. This is polytheism in one's heart ascertained by polytheistic acts like assuming that benediction is derived from worshipping at and performing pilgrimage to mausoleums and 'holy' sites and offering oblations. Food, and money to clergy of such temples. This bad deeds are repeated in so many earthly religions worldwide; the Muhammadans have fallen into the same trap though they have the Quran with them; thus, they keep saying with their mouth (There is no God but Allah), but their religious life is filled to the brim with sanctifying and deifying mortals and mausoleums/tombs, especially the Yathreb mausoleum dedicated to Muhammad. Their first contradiction with Islam is adding the name of Muhammad to the name of God in the testimony of Islam, thus differentiating between him and the rest of messengers and prophets as though he were above all of them; this sin makes the monotheism testimony turn into a dual testimony of polytheism, by deifying Muhammad as a partner of God also in the Azan (call for prayers), daily prayers, and pilgrimage. This has made ample room for deifying and sanctifying other mortals apart from Muhammad: his companions and then the so-called saints and imams. The tombs of these persons have been turned into 'holy' mausoleums to which people perform pilgrimage and offer oblations, sacrifices, and money to them. Thus, since this polytheism begins with deifying Muhammad, the remedy must be to refute the Muhammadans placing him above all other prophets and messengers. God has repeatedly warned us in the Quran against this in advance; we are not to differentiate among prophets: they are all equal to us. Indeed, this is a test for true, monotheistic faith; real believers say ''we hear and obey'', whereas deeds of the Muhammadans assert that they say ''we hear and disobey''. Thus, these Muhammadans are the enemies of Muhammad and the faith of monotheism (There is no God but Allah), the message Muhammad strove to call people to believe in. 4- We assert again here what we have asserted in our reply to skeptics who protested against our views that we do NOT declare persons as infidels or disbelievers, as we merely point out that there are certain notions and tenets that contradict the Quran; we aim to reform, preach, and warn, and not to verbally abuse others by telling them they are disbelievers. This point is repeated by us ad infinitum ad nauseam; all human beings have the right to embrace whatever beliefs as long as they do not impose them on others. Our aim is to clarify and elucidate forgotten facts and tenets of Islam found exclusively in the Quran, hoping to guide Muslims so as they avoid entering into Hell; we are addressing the living persons, not the dead ones whose fates are sealed as per their faiths and deeds, and their fates are known only to God. The living ones have time to think and reconsider as long as they are still alive; we request from each of them to use their conscience as the criterion while reading our writings with objective, reasoning minds, then to choose for themselves. Each individual is responsible for his/her soul and fate in the Afterlife. This is the real problem: our reform-seeking endeavors and writings quote the Quran to show how all notions polytheism are embraced by the Muhammadans and how they contradict the Quranic facts of Islam. All polytheistic notions against which God warns us in the Quran are now embraced by the Muhammadans; it is our duty then to shed light on such facts and such contradiction between the Quran and stances/tenets of the Muhammadans so as to remind, reform, and warn them, not to call them names or to despise them. 5- The topic of this article is tackled before in one of our books titled "Prophets in the Holy Quran", which we have taught along with other four to our students at Al-Azhar University in 1985, and on 5th of May, 1985, the head of Al-Azhar University suspended us from work and confiscated our financial dues, and other punishments included preventing us from getting promoted, preventing us from traveling out of Egypt, and ordering an immediate inquisition-like interrogation. 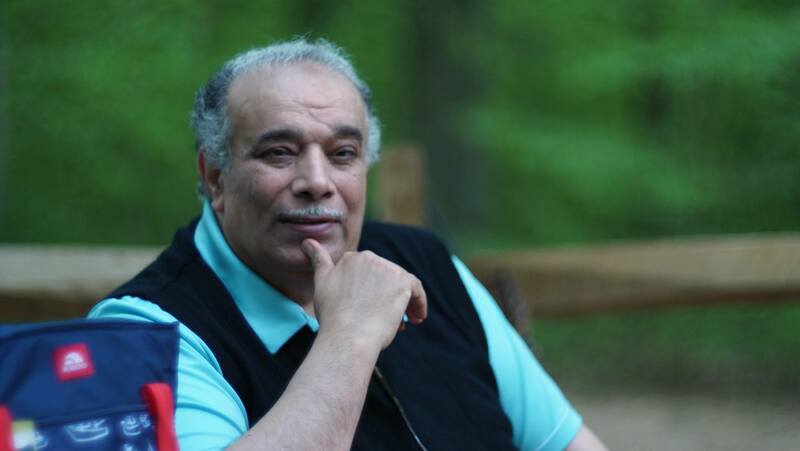 We have been interrogated by Dr. M. Sayed Tantawi, who was at the time the dean of Theological Sciences faculty in Asyut, and who became later on the head of Al-Azhar institution. Because we have insisted on never refuting our views expressed in the five books we have authored, the Azharites accused us of denying the so-called 'intercession' and 'infallibility' of Muhammad as the 'best' human being and prophet. This is because we have refuted such myths in our book titled "Prophets in the Holy Quran". Now, 23 years after such interrogation and accusations, it is incumbent to us to write this article you are reading now, with more details. 1- Within Islam, one does NOT believe in the person of the prophet and his name; rather, we are to believe in the celestial messages or Scriptures that God have revealed to all messengers/prophets. Indeed, all Scriptures of God have the same essence, despite the differences in languages, time, and place, and some legislations. Hence, real belief in messengers/prophets is never to make distinction among them; to negate and deny this is to have room for polytheism; this is why God made real believers to say (we hear and obey) in this respect, and those refusing to say it are disobedient and disbelievers, since they prefer one prophet to the rest of them, leading to the next step of deifying this prophet (e.g., Muhammad and Jesus). Thus, not to differentiate among prophets and messengers is a real test to one's real faith tenets: "And man will be evidence against himself. Even as he presents his excuses." (75:14-15). Hence, someone might admit inwardly that he/she places one prophet above the rest and adhere to this erroneous notion, and someone else may admit he/she were in the wrong and rectify their faith tenets; this is within the sphere of the possible. Those who adhere to the erroneous notion distort meanings of the Quranic verses and misinterpret them to prove themselves 'right' and to misguide others. Each person bears full responsibility for one's choice as per 75:14-15. 2- To clarify this further, let us ponder on these verses: "The messenger has believed in what was revealed to him from his Lord, as did the believers. They all have believed in God, and His angels, and His Scriptures, and His messengers: "We make no distinction between any of His messengers." And they say, "We hear and we obey. Your forgiveness, our Lord. To You is the destiny." God does not burden any soul beyond its capacity. To its credit is what it earns, and against it is what it commits. "Our Lord, do not condemn us if we forget or make a mistake. Our Lord, do not burden us as You have burdened those before us. Our Lord, do not burden us with more than we have strength to bear; and pardon us, and forgive us, and have mercy on us. You are our Lord and Master, so help us against the disbelieving people."" (2:285-286). (The messenger has believed in what was revealed to him from his Lord, as did the believers...): this means that Muhammad himself believed – NOT in his person – in the Divine Book God has revealed to him, and this applies to real believers. This means that the faith/belief of these real believers is NOT linked to the name and personal history of Muhammad. Thus, to believe in the messengers of God means to believe in the messages they conveyed from God. The verses 2:285-286 clarify and emphasize that the belief in the messengers/prophets includes the following points. (A)(...They all have believed in God, and His angels, and His Scriptures, and His messengers...): this means all real believers' faith (prophets and non-prophets) consists of this. A query is posed here: is this polytheism or monotheism? Are we to believe in separate entities apart from the belief in God? Of course not: we are to believe in the One God, Allah, Who revealed the Scriptures via angels to all prophets; thus, angels and prophets were tools to convey God's messages to humanity, and this is why they are mentioned in 2:285 using the possessive pronoun (His) that refers to God as their Owner, Not as entities equal to Him. This is asserted in the very next phrase in 2:285 repeated by Muhammad and real believers with him: (..."We make no distinction between any of His messengers."...). Again, we notice the use of the possessive pronoun (His) that refers to God; we are not to place any messenger above the rest of them, as this is absolutely prohibited by God. The term "His messengers" does not specify their names and persons to further emphasize that notion of not to prefer any of them above the rest. This is a basic notion of belief, not mere words to be uttered, and this is why the very next phrase in 2:285 is as follows: (...And they say, "We hear and we obey...), and this indicates the stance of real believers, on which depends one's destiny either in Hell or in Paradise. Thus, the belief in the One God is the root including the belief in His angels, Scriptures, and messengers. This is the explanation of the meaning of the belief in God's message by Muhammad and all real believers and how this message, the Quran, is descended by angels. This is real faith in the One and Only God as per the divine message. This is real belief confined to God only by asserting monotheism in the first half of 2:285 and to deny any distinction among messengers. The testimony of Islam (There is no God but Allah) begins with denying all false gods to confine the belief in One God: Allah. Likewise, the verse 2:285 begins with showing the essence of faith/belief in the content of the message of God while denying any preferring of one prophet to the rest of all prophets. (B) (..."We make no distinction between any of His messengers."... ): this phrase is the other side of the coin in the Islamic faith; we are to believe equally in all prophets/messengers without distinguishing any of them by setting him apart from the rest: this is why 2:285 does NOT mention any name of any prophets, as faith/belief is in the message revealed by God and not in the person of any prophet. This is an issue of belief or lack of it; God does not want us to believe in Muhammad, but in the message descended upon him, as we read in the very first verses of the Quranic Chapter name (Muhammad): "Those who disbelieve and repel from the path of God - He nullifies their works. While those who believe, and work righteousness, and believe in what was sent down to Muhammad-and it is the truth from their Lord-He remits their sins, and relieves their concerns." (47:1-2). This is part and parcel of faith and an integral essential part of Islam: we are to declare this in one's heart, mind, and senses while uttering it in devoutness. (C) (...And they say, "We hear and we obey. Your forgiveness, our Lord. To you is the destiny. "): this is the declaration of real faith and obedience of our Lord God; we are never to distinguish among prophets and to ask God's pardon for committing this sin in the past. (D) In 2:286, we read: (God does not burden any soul beyond its capacity. To its credit is what it earns, and against it is what it commits. "Our Lord, do not condemn us if we forget or make a mistake. Our Lord, do not burden us as You have burdened those before us. Our Lord, do not burden us with more than we have strength to bear...): this means that not making distinctions among prophets lies within the sphere of the possible; any person with a reasonable mind can refuse to place any mortal as a deity beside God. Any Quran-believing people know that God has commanded Muhammad to declare that he was a human being like the rest of people, despite receiving the divine revelation: "Say, "I am only a human being like you, being inspired that your God is One God. Whoever hopes to meet his Lord, let him work righteousness, and never associate anyone with the service of his Lord."" (18:110). Thus, it is never acceptable to make Muhammad as a deity beside God. Quran readers know that God has commanded Muhammad to declare that he was a follower of Abraham's religion of monotheism and that he was the first among people to submit to the Dominant Lord: "Say, "My Lord has guided me to a straight path, an upright religion, the creed of Abraham the monotheist, who was not a polytheist." Say, "My prayer and my worship, and my life and my death, are devoted to God, the Lord of the Worlds. No associate has He. Thus I am commanded, and I am the first of those who submit." (6:161-163). Hence, we are not to overlook Muhammad's obedience to God and worship of Him; the Muhammadans make Muhammad a god beside Allah by mentioning his name in the testimony, prayers, call to prayers, pilgrimage, and glorification/praise of God. Reasonable minds refuse to make Muhammad as a deity; he was a follower of Abraham's religion, and it is illogical in light of this to make him above the rest of all prophets as per 2:285. Besides, we never know the real number of prophets and messengers and their stature as per the Lord God; we are not to trespass into this unknown realm since we do not know in the Quran which of them are preferred by God. real Quran-believing people must say "we hear and obey"; we are not to disobey our Lord God. It is never beyond the capacity of human souls to refuse to make distinction among prophets; God does not burden human souls beyond their capacity. Once believers accomplish this, they have earned the right to ask for God's pardon for past sins and forgetfulness: " God does not burden any soul beyond its capacity. To its credit is what it earns, and against it is what it commits. "Our Lord, do not condemn us if we forget or make a mistake. Our Lord, do not burden us as You have burdened those before us. Our Lord, do not burden us with more than we have strength to bear..." (2:286). To distinguish Muhammad (or any other prophet) above the rest is the first step to deify and sanctify him; this is destructive to monotheism revealed in all divine messages in different tongues. In the Arabic tongue, Islam literally means 1) to submit only to God, without partners or associates to Him in faith, belief, devotion, and acts of worship and 2) peaceful demeanor in dealing with all people. hence, to set a prophet apart from the rest means to be removed from this one universal Religion of God and to enter into different earthly religions made by man under so many labels. This occurred to celestial messages of God (i.e., Islam) before the advent of the Quran; when the Quran was revealed to Muhammad, the seal of all prophets and who was a descendant of Ishmael son of Abraham, the People of the Book (i.e., Jews + Christians) at the time discarded Islam (God's religion) and followed other creeds under different labels, and many debates occurred between the People of the Book and early Muslims around the name of Islam and the stories of other prophets: Abraham, Isaac, Jacob, etc. if they were Jewish or Christian as per names invented by the People of the Book after rejecting the name of Islam. God refutes them in these verses: "And Abraham exhorted his sons, and Jacob, "O my sons, God has chosen this religion for you, so do not die unless you have submitted." Or were you witnesses when death approached Jacob, and he said to his sons, "What will you worship after Me?" They said, "We will worship your God, and the God of your fathers, Abraham, Ishmael, and Isaac; One God; and to Him we submit."" (2:132-133); "And they say, "Be Jews or Christians, and you will be guided." Say, "Rather, the religion of Abraham, the monotheist; he was not a polytheist." Say, "We believe in God; and in what was revealed to us; and in what was revealed to Abraham, and Ishmael, and Isaac, and Jacob, and the Tribes; and in what was given to Moses and Jesus; and in what was given to the prophets-from their Lord. We make no distinction between any of them, and to Him we submit."" (2:135-136). The command ''Say'' here is addressed to both Muslims and the People of the Book, so that all people should believe in all Scriptures given to all prophets without making distinction among the prophets, and to devote their faith, belief, and acts of worship only to God. Thus, the belief is NOT in the prophets as persons or names, but in the Scriptures descended unto them; Muslims should be preachers to the People of the Book by urging them not to distinguish among prophets by placing some above the rest (e.g., Jesus and Moses). Thus, it is a basic tenet of Islam not to make distinction among prophets so that one is submitting totally and wholeheartedly; this was the case of early believers during Muhammad's lifetime. Sadly, the Muhammadans of today are imitating Christians, who preferred and deified Jesus, by deifying and revering Muhammad as the best human being and the best prophet, thus making him a god beside Allah. All divine epithets ascribed to Jesus are now ascribed to Muhammad, with slight linguistic difference that goes beyond the scope of this article. Christians differed amongst themselves regarding the nature of Christ, and this resulted in many earthly, man-made religions: Catholics, Orthodox, etc. ; as for the Muhammadans, they agree on deifying Muhammad but their differences are about the so-called companions of Muhammad, resulting in Shiite-Sunnite rift. Such differences might have staying within the sphere of thought and philosophy, as human though ascribed to its authors, but sadly, these unsettled views were later ascribed to God and Muhammad in the form of the so-called hadiths, thus establishing earthly, man-made religions with devilish, false revelations contradicting the Quran. Among the Sunnite fabricated hadiths ascribed to Muhammad are the following: (... I'm the best of Adam's progeny, without bragging of it ... I'm provided with seven qualities above the rest of all prophets ... I was a prophet before Adam was created from mud ... I was created from God's light ... etc. ...)! The Muhammadans in their mosques describe Muhammad in their sermons as the most honored master of all prophets and messengers and the master of human beings and Jinn, etc. Thus, 'Muslims' have been divided into so many creeds and sects like what happened to the People of the Book; indeed, Christians and Muhammadans vie for more fanaticism and siding with their deified mortals. As for the verse 2:136, God here commands Muslims to advice People of the Book to believe in all Scriptures and to stop differentiating among prophets so that they submit their souls and hearts only to God; sadly, the Muhammadans fell into the same Satanist trap when they have deified Muhammad. This is a vital issue that shows who the true pious believers/monotheists and who the polytheists/disbelievers are: "If they believe in the same as you have believed in, then they have been guided. But if they turn away, then they are in schism. God will protect you against them; for He is the Hearer, the Knower." (2:137). The term "schism" here refers to many creeds, sects, and doctrines of polytheists among the Muhammadans and the People of the Book who placed some prophets above the rest (e.g., Muhammad, Jesus, and Moses). This schism is sadly present until now among Sufis, Sunnites, and Shiites, with doctrines within each of the three labels indicating so many schools of fiqh, so many orders and trends, etc. Yet, the main cause of schism and polytheism remains the same: all Muhammadans deify Muhammad and worship him within many rituals: offering prayers to him, glorifying him, performing pilgrimage to the Yathreb mausoleum dedicated to him, etc. Such fabrications never occurred during Muhammad's lifetime at all nor even during the 40-year era of the pre-Umayyad caliphs. Disputes, schisms, and differences would not have occurred if people from the very start have obeyed God's commands by never placing any prophet above the rest of them, as this will make belief dedicated to God alone, and all people will believe His Scriptures (esp. the Quran) and in the real meaning of the testimony of (There is no God but Allah). The debates between early Muslims and the People of the Book in Arabia in 2:130-141 about Islam as the true Abraham's religion is repeated in the Quranic Chapter 3; God addresses the People of the Book here: "O People of the Book! Why do you argue about Abraham, when the Torah and the Gospel were not revealed until after him? Will you not reason? Here you are-you argue about things you know, but why do you argue about things you do not know? God knows, and you do not know. Abraham was neither a Jew nor a Christian, but he was a Monotheist, a Muslim. And he was not of the Polytheists. The people most deserving of Abraham are those who followed him, and this prophet, and those who believe. God is the Guardian of the believers." (3:65-68). God declares the innocence of prophets and messengers from the sin of self-deification ascribed to them by polytheists: "No person to whom God has given the Scripture, and wisdom, and prophethood would ever say to the people, "Be my worshipers rather than God's." Rather, "Be people of the Lord, according to the Scripture you teach, and the teachings you learn."" (3:79). Thus, it is impossible that a prophet or a messenger whose message is (There is no God but Allah) would command people to worship him as a god. Islam has no room for deifying angels and prophets, as this is polytheism/disbelief that makes one rejects Islam: "Nor would he command you to take the angels and the prophets as gods. Would he command you to disbelief after you have submitted?" (3:80). Thus, Islam (i.e., literally, submission to the Lord God) is God's religion to all humanity and indeed all creatures in the universe: "Do they desire other than the religion of God, when to Him has submitted everything in the heavens and the earth, willingly or unwillingly, and to Him they will be returned?" (3:83). The query is posed: how come that people deviate from God's Path and establish earthly, man-made religions? It all beings with the crime/sin of placing a prophet above the rest, leading to deify him as a deity, and then divisions and schism occur as a result, with many sects an doctrines emerging to place certain group of people above all human beings (i.e., some prophets, the so-called saints, etc.). The only solution to this dilemma is to return to the celestial divine message (i.e., the Quran) and its command not to make distinction among prophets; this is the command given to Muhammad to declare within his arguments with the People of the Book in Arabia: "Say, "We believe in God, and in what was revealed to us; and in what was revealed to Abraham, and Ishmael, and Isaac, and Jacob, and the Tribes; and in what was given to Moses, and Jesus, and the prophets from their Lord. We make no distinction between any of them, and to Him we submit."" (3:84); this verse repeats the command given to all real believers in 2:136, with almost the same words: "Say, "We believe in God; and in what was revealed to us; and in what was revealed to Abraham, and Ishmael, and Isaac, and Jacob, and the tribes; and in what was given to Moses and Jesus; and in what was given to the prophets-from their Lord. We make no distinction between any of them, and to Him we submit." (2:136). This repetition is not only for assertion and emphasis, but this is a refutation beforehand of the views of those who place Muhammad above all prophets. Since Muhammad is commanded in 3:84 to make no distinction among prophets, he is an enemy of those who reject this command. Thus, as per 3:84 and 2:136, it is part of the meaning of Islam never to distinguish among prophets by placing any of them above the rest, and this is asserted here: "Whoever seeks other than Islam as a religion, it will not be accepted from him, and in the Hereafter he will be among the losers." (3:85). Accordingly, real Muslims as per God's Word are the ones who never prefer one prophet to the rest, without exceptions: this is the essence of Islam; total submission to God without associates, as placing a favorite prophet above the rest is to deify him as a god beside Allah, though sanctification and justification must be 100% dedicated only to God. Thus, to deify a mortal means that one is a polytheist who ascribes divine epithets and qualities to this revered mortal: immorality, intercession, omnipotence, etc. So, the Muhammadans assume Muhammad is still alive in his mausoleum/tomb, watching over their lives and deeds, with the power to delete their sins via intercessions beforehand in this world before the next, and offering help all his worshippers! The Muhammadans assume that their deity Muhammad is the owner of the Last Day; if God condemns some sinners to Hell, Muhammad would remove them from Hell to make them enter Paradise! It is as if God would change His decrees! This is utter blasphemy! This is why the Muhammadans are keen on performing pilgrimage to the Yathreb mausoleum ascribed to Muhammad and worship it to win his supposed intercession in the Hereafter! Even in the Arab culture, when we say "the prophet", it is understood that we mean Muhammad exclusively; the rest of the prophets/messengers have no room within the collective memory of Arab Muhammadans within their religious sentiments; this is how they have lost Islam, which means to submit one's heart, mind, souls, and face to only God. The Muhammadans submit all these to their imaginary deity named Muhammad and not to God. Thus, the Muhammadans (who deserve such an appellation coined by Europeans) invoke Muhammad and his assumed power/authority, as they overlook and disregard God! Thus, within such polytheistic stance, the gods/deities increase in number; after deifying Muhammad, the same is applied to his relatives, household members, progeny, companions, imams, etc. Hence, differences and dispute occur over whom the Muhammadans prefer best among such deified mortals; this is the reason behind Shiite-Sunnite struggle until now, and each sect has its imams, scholars, clergy, etc. that support their views and disputes by fabricating false hadiths and narratives ascribed to God and Muhammad. Later on, followers of each sect deify these clergy, sheikhs, imams, etc. and place them above God; i.e., their words are more important than the Quran and used to misinterpret its verses. For instance, when Quranists refute Al-Bokhary hadiths that deify Muhammad and those that undermine him, the vast majority of Muhammadans defend Al-Bokhary though they did not read his book and they never think how this book is insulting to Muhammad and to God. Thus, deities increase by the Muhammadans to include all authors of traditional books, and deification/sanctification is more than 99% to such mortals while less than 1% is dedicated to God! It is sheer polytheism to deify and sanctify God within the percentage of 99% and to dedicate 1% to Muhammad; this is insulting to God and undermining His Power, Grandeur, and Greatness by making a mortal a god beside Him. these deified mortals cannot create even a fly: "O people! A parable is presented, so listen to it: Those you invoke besides God will never create a fly, even if they banded together for that purpose. And if the fly steals anything from them, they cannot recover it from it. Weak are the pursuer and the pursued. They do not value God as He should be valued. God is Strong and Powerful." (22:73-74). These details are repeated in the Quranic Chapter 4 as we'll tackle below. "Those who disbelieve in God and His messengers, and want to separate between God and His messengers, and say, "We believe in some, and reject some," and wish to take a path in between. These are the unbelievers, truly. We have prepared for the unbelievers a shameful punishment. As for those who believe in God and His messengers, and make no distinction between any of them-He will give them their rewards. God is Forgiver and Merciful." (4:150-152); we ponder these verses to infer the following points. 1- We notice the decisive barrier that distinguish between believers and disbelievers. 2- Making distinction among prophet is to separate them from the Lord God; thus, the believe in angels and prophets are as means/tools of God to convey scriptures of the Lord; to raise these tools as deities equal to or lesser than God is sheer polytheism. 4- "These are the unbelievers,truly..." (4:151); we see more emphasis here, unparalleled in other verses throughout the Quranic text. 5- Making distinctions among prophets includes the following: to disbelieve in God and God's messengers/ prophets, partially or wholly, while assuming a distorted interpretation of the Quranic verses to fit and suit the corrupt meanings; this is reflected in 4:150. The address here is in the present tense indicating a fact repeated in the future after the Quran was revealed, unlike using the past tense in 2:285-286, 3:83, and 2:126. Thus, the address in 4:150-152 is directed to all generations after the death of Muhammad as a general rule and a warning against polytheism: outspokenly expressed or inwardly within one's mind and heart; even the mere desire or (want) of such disbelief as per 4:150 is enough for eternal punishment in Hell. This leads people to twist meanings of Quranic verses to assert myths of polytheism and deify prophets, angels, 'imams', 'saints', etc. and this separates God from His prophets/messengers who were tools to convey the Truth, and those disbelievers invented so many narratives/hadiths to assert their erroneous views; this is a Quranic miraculous prediction that came true and God warns us beforehand about this. Yet, most people insist on overlooking and rejecting the Quran to follow ancestral traditions: these are the disbelievers truly, as per 4:151. 1- Reforming and correction faith tenets is possible if one truthfully seeks guidance: this is within the sphere of our abilities; why do not we do this before it is too late upon the moment of dying? 2- Let's suppose that we exaggerate; why do not readers contemplate the Quranic verses quoted above, alone, away from this article, with deep reflection while seeking to be guided? 3- Eventually, this is a topic pertaining to one's eternal life in the Hereafter; this is never linked to worldly transient possessions and conflicts. Most Muhammadans are victims of tyranny, enslavement, and corruption; they have lost this world; why do they insist on losing in the next world as well because of polytheism? 4- The struggle for reform within this world is stifled by tyrants, and all types of reform are rendered impossible within the near future; is it not better to reform our tenets within what is possible? Is it fate that for centuries the Muhammadans would lose in this world and the next?! 5- Thus, entering into Paradise costs less than entering into Hell, right? !